Hopping into a TARDIS and crossing out own time stream may be limited to science fiction today, but that hasn't stopped Chino Otsuka from at least making it look like that's exactly what she's done. Chino has taken several photos of herself as a child and added her adult version in so it looks like she's standing beside herself, quite literally. Her image editing is so good that it looks as if her current and younger self really were together in the photos. After marveling at the incredible image editing we're drawn to powerful imagery of seeing the innocent child version of Chino standing next to the grown up version of herself standing side by side. 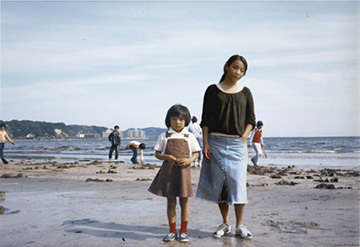 You can check out all of the time traveling shots at Chino Otsuka's website.